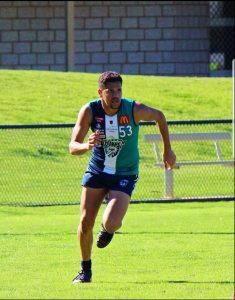 At the end of the 2017 season one of the Bulldogs young guns Robbie Schindler-Taylor was recruited over to Western Australia to trial with Peel Thunder in the WAFL. Living with former Warners Bay First Grade Coach John Deitz provided a good connection for Robbie to chase his dream of playing footy at the highest level. We touched base with Robbie to see how the move is going and how his first year over there has been. Robbie, how is the move going over at Western Australia? Tell us what a normal week is like for you over in the west. Everything is going well at the moment, the season just finished, unfortunately this year neither our reserves nor league team have made it through to the finals for me to get the chance to play finals this year, but the year was still enjoyable and a great way for me to find out more about myself as well as develop. A normal week during the season would have looked like training 3 times a week and playing on a Saturday as well as fitting around 5 shifts of work in a week on top of that. And then I had my own little program to do for weights outside of training as well as 3 times a week inside after training sessions. So as you could imagine it was a pretty busy and full on year for myself. How is it going playing with Peel Thunder? What positions have they been playing you and how has the training been? As I said in my last answer unfortunately we didn’t make finals this season, but I’ve gotten so much exposure to such a talented and experienced bunch of guys and has helped me further develop myself. I’ve played in a few too many spots this year to really list off but my main positions have been wing and forward flank. Trainings been intense and there’s not really any training sessions you can just run through the motions and that’s how you want it to be if you want to make it to the highest level possible for yourself. How is the standard of football up that way? A lot more professional I imagine than the BDAFL? Yeah as I’ve said to a few boys here at Peel Thunder, obviously coming from a state that is more rugby dominant in sport selection, there’s going to be a bit of a difference. 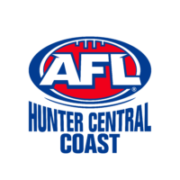 I find it more professional here though because we have access to footage and have the help of Fremantle Dockers as well. 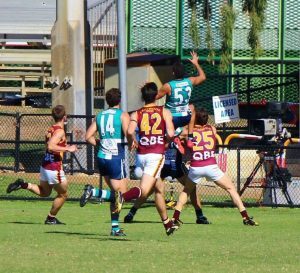 Keeping in mind Warners Bay is a local football team comparing to a WAFL team which is also a feeder club of an AFL side. What’s been your biggest highlight so far? Really my highlight is just coming over here and playing with a team that’s paid money to get me here, and for as long as I’m with peel thunder I’ll continue to work my hardest and prove them right for seeing something within me. On the side of that going to the Fremantle Dockers training ground and training with the Freo blokes that was a really amazing experience and you also get to see how hard AFL players train to make it where they are today. Any lowlights? Hopefully no injuries to report? Throughout the year I had a few minor injuries that just set me back a little, but nothing serious enough to force me out of the side. Have you had any challenges adjusting to a new town and lifestyle over there in Western Australia? 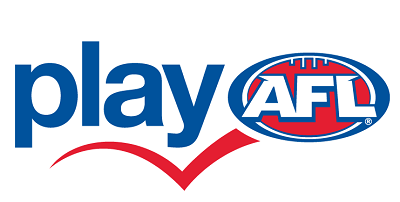 Are you working as well as playing footy? I mean at the start living away from your parents has its challenges but I’ve had amazing support not only from Deitzy and other coaches, but from mates and family who continually check up on me and support me through my progress. How is your new club going this season? Playing Finals this year? Are you missing the doggies yet? Yeah as explained before we are missing finals this year which is disappointing but like the doggies we have a fairly young team in both our reserves and league side. No doubt I’m missing the doggies this year, and it annoys me seeing we were just 1 win away from the grand final but I’m sure one day I’ll be back at the club playing and making sure the recently retired Benny hunter comes back out of retirement to play a few with me. Who do you miss the most and least from the Doggies? I mean I miss everyone at the club really, and just the club in general, but I can’t really go past the boys who won the grand final with me in the under 17s team against Cardiff. As for the least I don’t really have anyone for that but more for listening to Kayne tell me about how he bagged goals all day after every game. Is there anyone you would like to thank from the club for being part of your football journey? I don’t think I’ll ever have enough time to thank everyone personally for being where I am with my football career today, but there is some people who do need to be acknowledge and I do apologise If I do miss anyone. I mean my career really kicked off from my journey with the under 17s team so a massive thank you has to go to all the players and coaches involved from the 3 junior years I had with doggies, without the support of those guys I probably wouldn’t be where I am today with my journey. 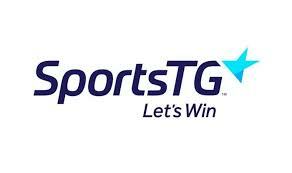 A big shout out to Jeremy Buckley, Ben Crawley and anyone else over the years who gave me a lift to and from training when I was too lazy to get my p’s, thank you to Marty who did actually start off my career with the seniors and had the belief to get me into the senior team, a big thanks to all my senior and junior team mates who helped better me during the seasons and taught me how to be a better player, and thank you to all the staff and community of warners bay who work all season to try get warners bay in the best place possible to get those grand final wins later down the track. 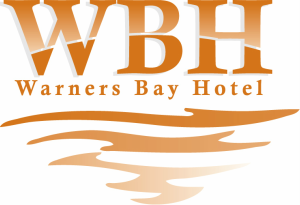 Without the people behind the scenes doing the work for the community we wouldn’t have a warners bay football club, and last but not least I think a massive thank you does have to go to Chris Avery. Not only was Aves our coach for our grand final win but to many of our boys Aves was also like a mate, and he’s been a pretty good mate of mine since being at the club and has made a major difference to my career, probably more then he knows. I don’t want to direct the acknowledgements at any 1 individual as everyone at the club has played a part in where I am today, you guys set this up, and hopefully I can finish the job and make it to the AFL. As I said before if I did miss anyone, I do apologise I acknowledge everyone that has helped me with my career. 10. 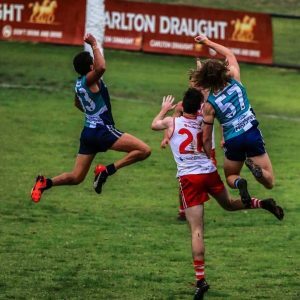 Do you have any advice or lessons you have learnt that you can share for anyone who might have the same dream of moving interstate to play footy at a higher level? Yeah living with Deitzy has helped me a lot as he’s full of information to do with football and has helped me play better this year as well. Something Deitzy told me was know your strengths and use them to your best ability. Once you know what your good at, use those abilities and then you know you’ll play the best you can and there’s nothing else you could have done. Only advice I really have is if you want something that much grab it when the opportunity is there because you never know if you’ll get that chance again. One of my favourite sayings is “one day your life will flash before your eyes, make sure it’s worth watching” this meaning that if you enjoy something that much when you look back on it you know it will only be good memories and that to me is playing football. I know we have a young club of players at Warners Bay so just hang in there and your time will come. Everyone at Warners Bay Football club thanks Robbie for taking the time to keep us up to date with his journey. All the best Robbie!